Welcome to Ardnashee Home Page. 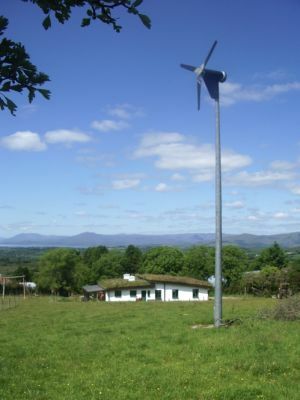 In 2010, Quentin developed a new 2.5kw wind turbine wind turbine. However, the removal of incentives in the Irish market meant we had to mothball that project. You can follow the history of that project by clicking here. For people thinking of making their own turbine, we have quite a stock of parts which may be useful. See here. The business is now focussed on building microprocessor based wind turbine controllers for renewable energy systems, such as wind turbines, solar PV, offgrid systems etc., and selling inverters to grid connect wind turbines. See here for more info. The price of solar PVs has dropped dramatically, making them a viable alternative to wind energy for most people. See more on this here. Many walking routes have opened in the area, including some walks breathtaking walks over the mountains behind our house, and through deciduous woodlands along the Mealagh River. Click here for more information.